Today’s residential and commercial decking industries offer many options when it comes to low-maintenance, long-lasting, aesthetically-pleasing lumber. 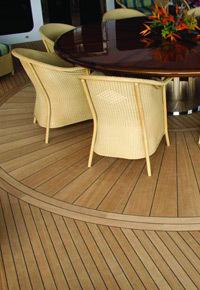 J. Gibson McIlvain provides only the most high-quality natural tropical decking materials. While composite decking materials have certainly impacted the lumber industry, there are many reasons why we believe they’re a bad idea. Over the past two to three decades in which they’ve been on the market, composite decking materials have proven to lack the kind of durability and colorfast qualities that hardwoods like Cumaru, Ipe, Tigerwood, and Teak display. In addition, people are becoming more aware of the environmental factors that make natural hardwoods preferable to manufactured building materials. The fact of the lumber industry’s true impact on global forestry is also becoming more widely known, providing further incentives for those who value sustainable materials to value the natural beauty of tropical hardwood decking. At J. Gibson McIlvain, we value both environmental and social responsibility. As a result, we’ve carefully established and maintain ongoing relationships with South American and Southeast Asian mills that comply with both legal and otherwise responsible guidelines for harvesting their lumber. 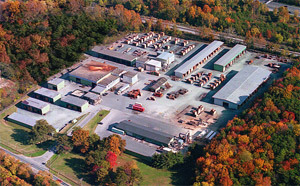 Those mills with which we work know to send us only high-quality lumber, most of which is FSC. Our quality control process is truly second-to-none, involving third-party organizations, in-person inspections on location, and multiple checks once lumber comes into port. 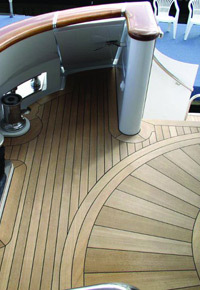 The boat-building industry highly values our commitment to maintaining a large inventory of Teak lumber. In fact, J. Gibson McIlvain is one of the premier importers of Teak in the U.S. This water-resistant species is being increasingly used inland as well, often for interior flooring, high-end decking, and trim. The nearly indestructible nature of this tropical hardwood species makes it a clear favorite among our luxury-loving customers. In addition to Teak, Ipe is a species we see constantly maintaining its popularity. This dense, stable, rot and decay-resistant species is clearly the top choice for high-end decks. The wood’s class A fire rating contributes to its life span of 40+ years. While Ipe costs continue to rise, we have been able to recommend properly dried Cumaru as well as Massaranduba (also called Brazilian Redwood) as alternatives. For now, we still highly recommend Ipe for commercial docks and decking and residential decking projects for the most discriminating clients. With the proper acclimatization and treatment, other tropical hardwoods can come close, but none truly compete with this exceptionally resilient and beautiful species. Our knowledgeable staff is willing to discuss the specifics of your project and recommend the right species for your individual situation and geographic location. 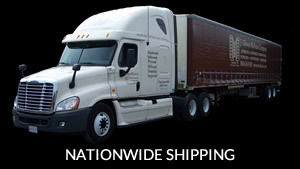 In all likelihood, we’ll have what you need in stock, and we can ship it to your job site within two weeks.